When travelling to Southport, the Esplanade Park and Ride provides a great place to park. Situated on the seafront (PR8 1RR), the park and ride is run from the Eco Centre which includes both a visitor & educational centre and toilets. The park and ride operates Monday to Saturday (excluding bank holidays and special events). 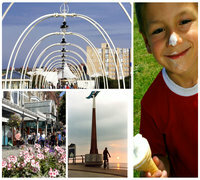 The cost for using Southport park and ride is £2.00 per day, per car. For the latest up to date information on the park and ride services, please see the Sefton website.